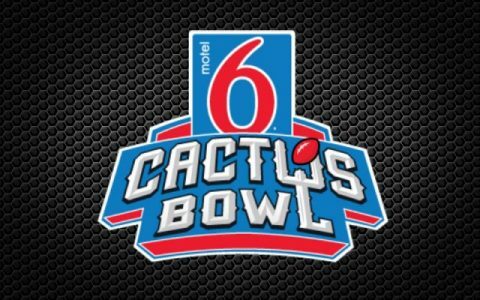 The Baylor Bears of the Big 12 will take on the Boise State Broncos of the MWC in the Motel 6 Cactus Bowl Tuesday night. The game will take place at Chase Field in Phoenix, Arizona with a start time of 10:15 PM EST and will be nationally televised on ESPN. Boise State opened as an 8-point favorite with the total set at 68 points. Roughly 75 percent of the tickets have come in on the Broncos, but the spread has dropped to Boise State -7.5 at most shops online and in Vegas. The total has also dropped half a point to 67.5 despite a majority of the wagers backing the over. Boise State finished the regular season with a solid 10-2 record. They are playing in their 15th straight bowl game and are 11-5 all-time. The Broncos closed out the season with a 27-20 loss to Air Force as a 7-point favorite. They struggled to stop the run and gave up 314 yards and two touchdowns on the ground. Their defense comes into this contest ranked 45th in total yards allowed, 26th against the pass, 70th against the run and 28th in points allowed, surrendering up 22.7 points per game. Offensively the Broncos have a solid quarterback in Brett Rypien who has thrown for 3341 yards with 23 TDs and just six interceptions. They get good production on the ground as well with junior running back Jeremy McNichols, who accumulated 1663 yards and 23 scores rushing, while also adding 450 yards receiving and four more touchdowns. Overall Boise State’s offense ranks 20th in total yards, 17th in passing, 58th in rushing and 27th in scoring, averaging 35.6 points per game. The Broncos are 6-2 ATS in their last eight bowl games but 1-6 ATS in their last seven games overall. Over is 4-1 in the Broncos last five Bowl games. Baylor raced out of the gates with a perfect 6-0 start, but the Bears closed out the season on an 0-6 skid. They struggled defensively and gave up almost 44 points per game during the slide. The Bears have the fifth-ranked offense nationally, averaging 523.3 yards – including 250.3 yards rushing, but their offense took a tumble after losing Seth Russell to a broken ankle in a 45-24 loss at Oklahoma on Nov. 12. Baylor averaged 43.7 points per game over their first six games, but just 26.2 points per game over their last six games. Freshman Zach Smith started the final three games at quarterback and threw eight touchdown passes compared to six interceptions, and running back Shock Linwood has elected not to play in Cactus Bowl to focus on possible NFL career. That will put a lot of pressure on sophomore running back Terence Williams (945 yards, 11 TDs, 5.9 per carry). Baylor comes in ranked 85th in total defense, 64th against the pass, 96th against the run and 81st in points allowed, surrendering 30.4 points per game. This is the Bears’ 7th bowl appearance in a row and, they are 11-11 in bowl games. They’re 1-5 ATS in their last six games overall but 8-1 ATS in their last nine games in December. Over is 10-1 in the Bears last 11 neutral site games.